The short films from the Focus Portugal program have been chosen by Miguel Valverde - founding member and programmer of IndieLisboa International Film Festival. „A Portuguese shorts’ program curated in current times should have in mind two very important aspects: thinking about the past (and paying respect to the Portuguese great masters) and proposing the future (looking at the new generations, and highlighting their freedom)” says Valverde about the programming process. 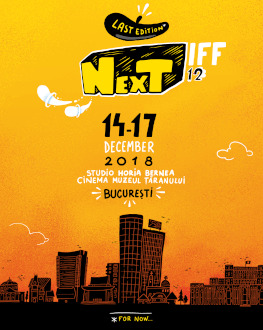 Focus Portugal deliberately follows these two paths: in The Heart and the Body young, emerging voices such as Leonor Teles (Golden Bear in Berlin 2016 with Batrachian’s Ballad) or Jorge Jácome with Flores (Hamburg Short Film Festival Grand Prize) can be found, while in On Politics established directors whose careers continue to develop, like the master Teresa Villaverde or Gabriel Abrantes, are included. A film about humor, anthropology and artificial intelligence. It focuses on how humor is central to human relationships across, used as a form of social control, and one of the most complex forms of communication. The film was shot in Mato Grosso (Canarana and the Yawalapiti and Kamayura villages inside the Xingu Indigenous Park) and São Paulo. Blending a certain Hollywood aesthetic with documentary approaches, the film tells the story of an indigenous girl who falls in love with a robot that is a rising stand-up comedian in Brazil. Gabriel Abrantes’ films address historical, political and social matters, while discussing postcolonial, gender and identity issues. His works create layers of unlikely readings, altering traditional narratives and touch upon the absurd, folklore, humor and politics. “The Russian lady and I used to cross each other every day, at 6 a.m., as every day she used to ride her bicycle to work. But, that day, she was on foot. The neighbor’s dogs were barking… barking and barking…”. “To me, the body looked more of a sheep. I’ve seen dead bodies, but that wasn’t a dead person to me.” A report by two witnesses of a hideous crime committed in a idyllic landscape. The victim was a foreigner named Vira Chudnenko. On December 1st, 2015, in front of the restaurant “Le Petit Cambodje”, officials from the Paris City Council collect the flowers paying tribute to the victims of the November 13th attack.